I am a Brand Ambassadör for IKEA U.S. This is a sponsored post. 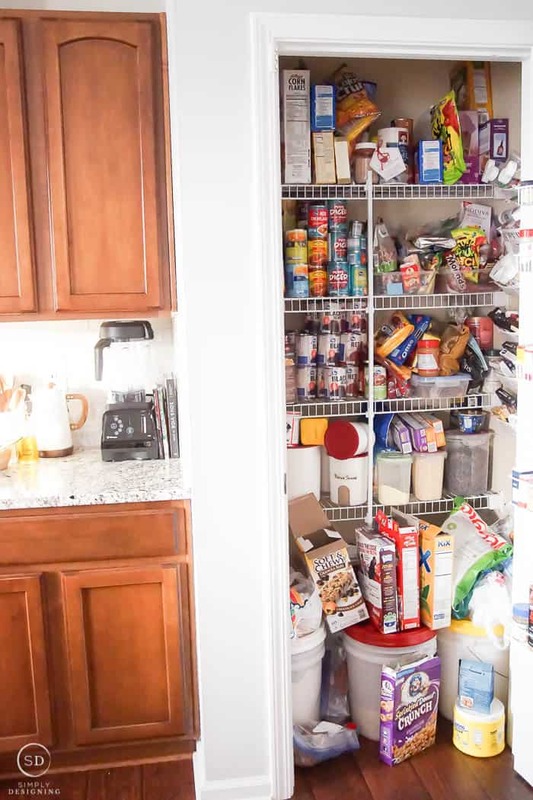 We have lived in our home for 7 years and there is one spot (ok maybe two or three) that I have wanted to tackle since the day we moved in, one thing I really wanted to do: organize the closet under our stairs, and coming in a close second is pantry organization. 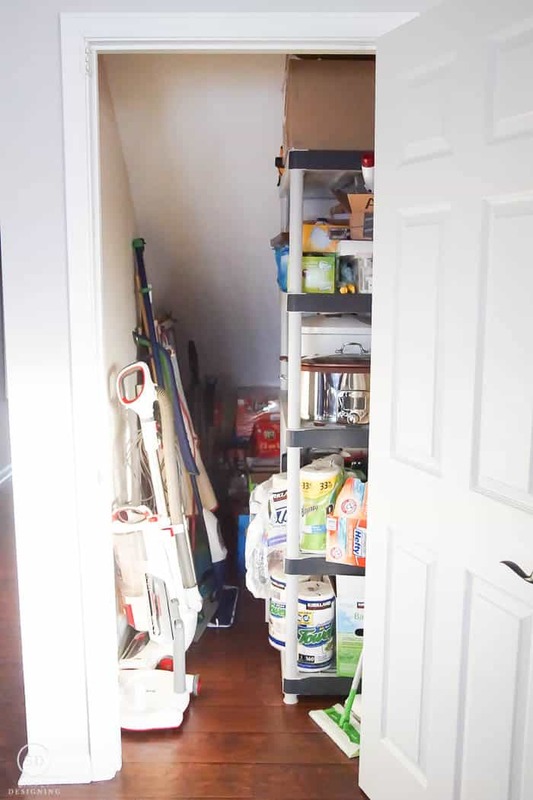 We have a nice long closet under our stairs and for the last 7 years, we have shoved stuff in there in a semi-organized way on plastic shelves (the part of me the LOVES to organize and loves my decluttering a house list absolutely hated this closet). Well, I finally reached the point where I needed to do something. So we decided to discuss some under the stairs ideas and actually do it! We also decided that at the same time we would also organize the small pantry in our kitchen! 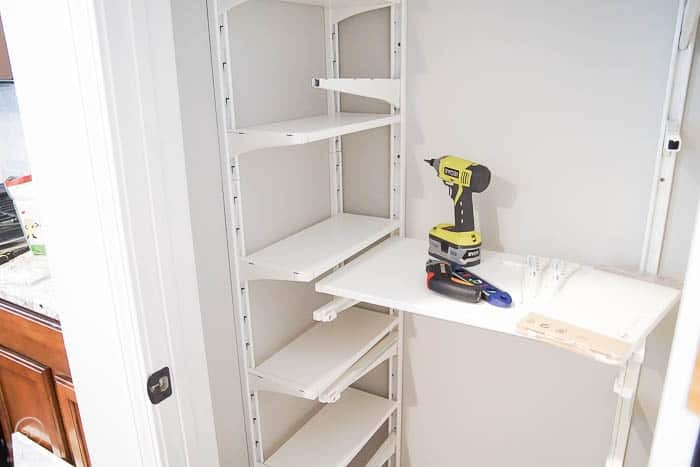 So I am excited to share how to organize a closet under the stairs and also our DIY pantry organization ideas with you today. Woot woot! 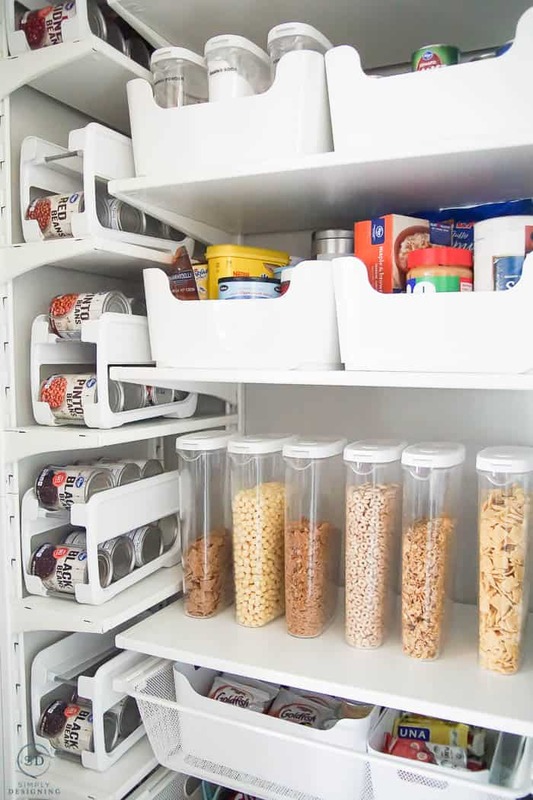 I will admit that during the busyness of the holiday season, we let our closet and pantry organization go even more. My baby became mobile, and we just had so much going on that I couldn’t seem to ever get and keep it under control. But now that the holiday season is over, and we are back to normal, every-day living, I needed my home to be a sanctuary once again for my family. I need my home to be a peaceful happy place that is organized and well-thought out and even beautiful! Having an organized home brings me peace and comfort. 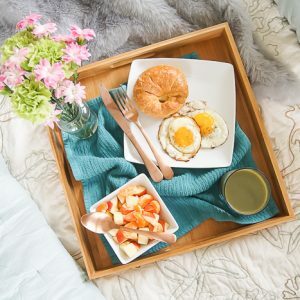 And so we wanted to tackle these small spaces to really help bring order and organization into our everyday living in a beautiful and impactful way. So are you ready for the moment of truth? This is what our small pantry and our space under the stairs looked like BEFORE we began the work…sooooo embarrassing. Oh man, it was AWFUL! Nothing had a place, so my kids just put things back wherever they wanted to. My son couldn’t reach the cereal easily because that was on the top shelf, so he would climb on top of a bin to get cereal down, but leave the cereal boxes on another shelf or just on the floor when putting them away because he isn’t tall enough to reach. And our canned food is precipitously stacked…just waiting for the slightest breath to knock them over. Our small pantry needed major organization! And our under stairs closet was not much better. At one point there was organization. But after bringing home one-too-many boxes from Costco, and having no real way to organize things, we all just gave up and it became a mess. I sort of knew what I had in there and could usually find it, but more often than not, I just bought another because…well…I didn’t really know what I had in here. So we had our work cut out for us. 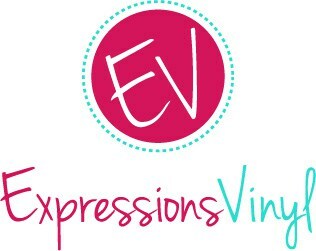 We began by emptying out 3 closets in our kitchen including our small pantry closet and the closet under the stairs and put everything in our piano room. 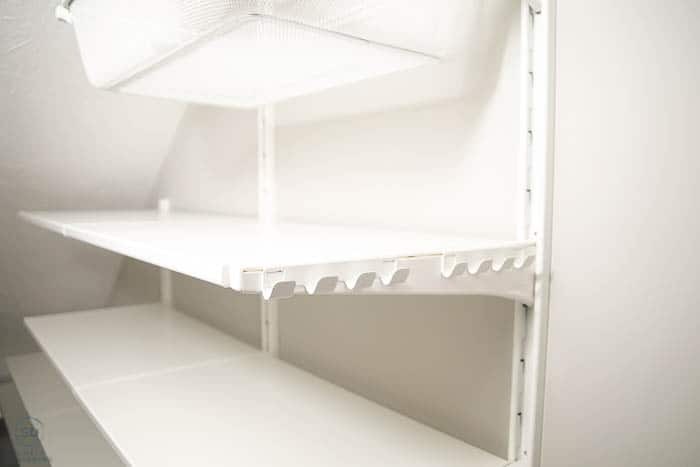 (I am only sharing two closet organization projects with you today, but we needed to empty all three out so that we could come up with the best plan for where to put everything and how to organize our kitchen in one cohesive way.) We borrowed a few baby gates so our little one couldn’t get into this room and then we got to work! 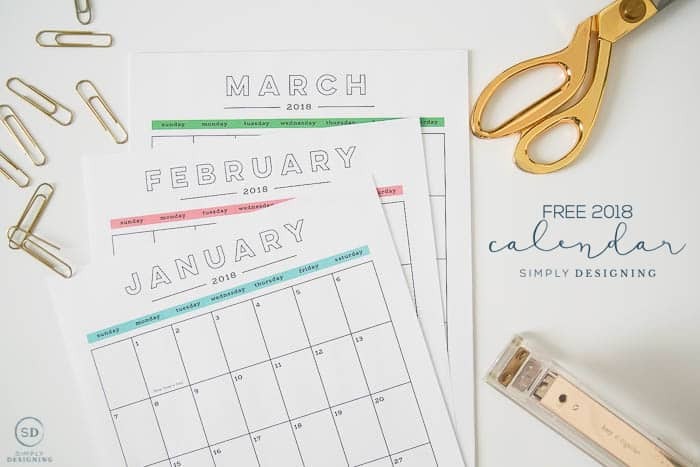 I will admit that living in a home in a state of chaos and un-organization is hard for me. 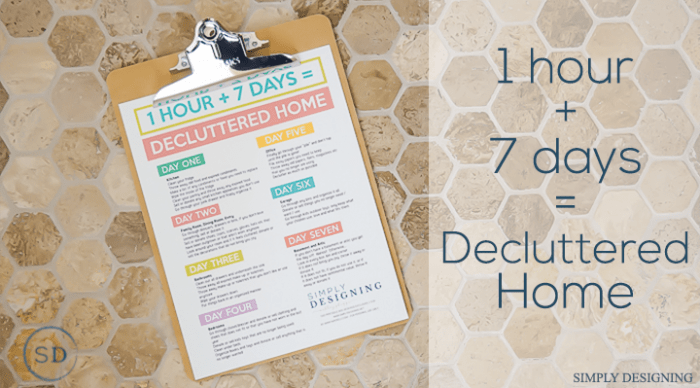 I just think more clearly when my home is organized. I am more productive too. But this is one of those projects that I knew would get worse before it got better. 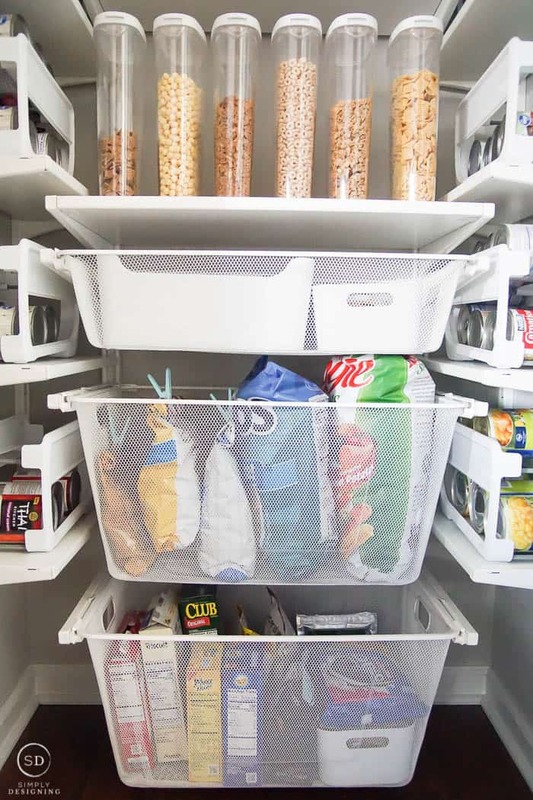 So I averted my eyes as much as I could and got to work because I knew that having an organized pantry and organized storage under the stairs would be worth it in the end. After our pantries were emptied, we removed the wire shelving from the small pantry in our kitchen (oh how I hate wire shelving in pantries! ), and then we patched and painted all of the walls in both spaces. 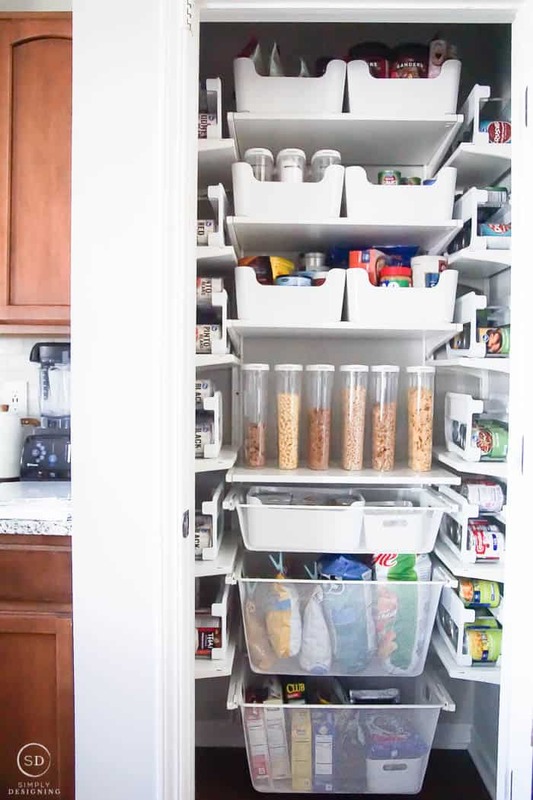 This pantry organization was definitely inspired by IKEA! IKEA recently opened a store near my home and let’s just not talk about how many times I have already been in there…ok?! 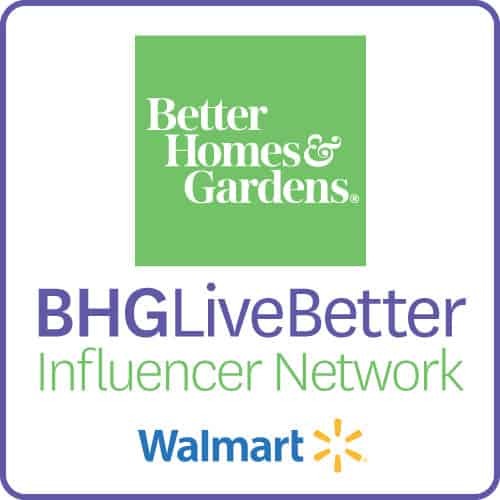 It’s one of my favorite stores to shop for home decor, storage and organizational products. 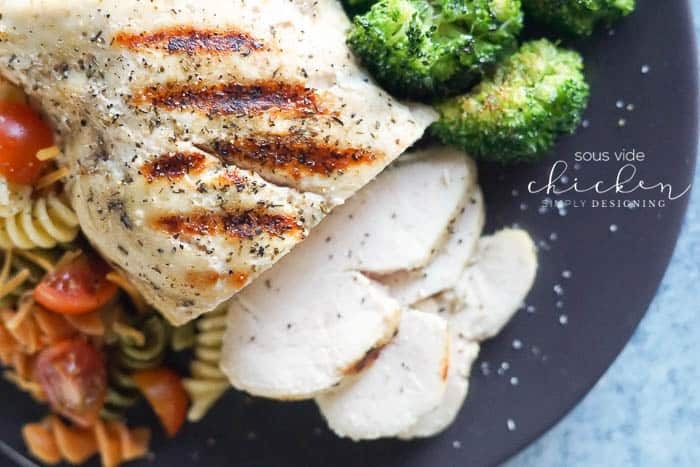 Oh, and of course, who can turn down their yummy food!? But I digress…anyway…we had an idea of what we wanted to do, but a quick trip to IKEA helped us finalize our plans for our DIY pantry organization. We decided to take advantage of as much of the wall space as we could and to install shelves along the back and one full side of the closet under the stairs. We designed the space using the ALGOT system from IKEA. 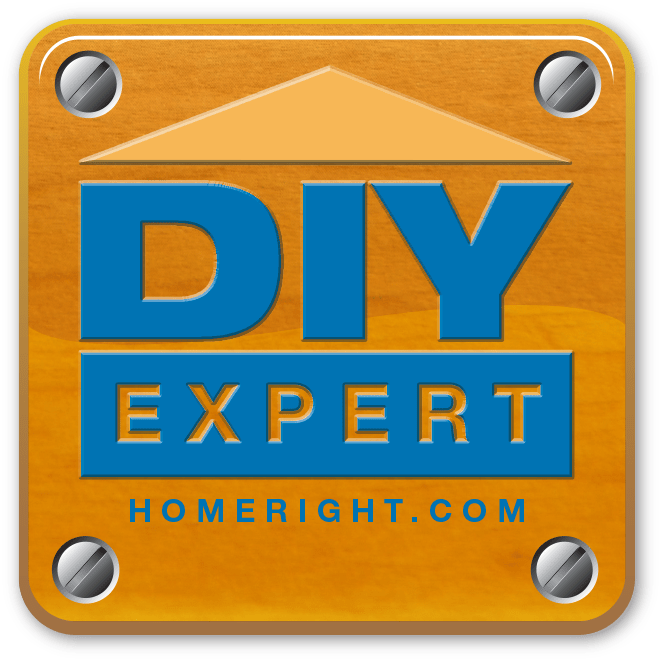 This system is really easy to install and easy to customize. And because we have a weird, angled space under our stairs, we needed something that we could customize as much as possible to get the most use out of this space. This did the trick! We measured, and I drew a little under the stairs closet storage plan, and then we ordered the product that we thought we would need and could use for this space, knowing that I might have to get a little creative or we may have to modify things as we went along because figuring out exactly what would work in this angled space was a little tricky. When we thought about how we wanted to organize the closet under the stairs, I really wanted usable space with a home for everything. But I also knew I needed to maximize the space as best as I could to create the most opportunities for storage as possible. 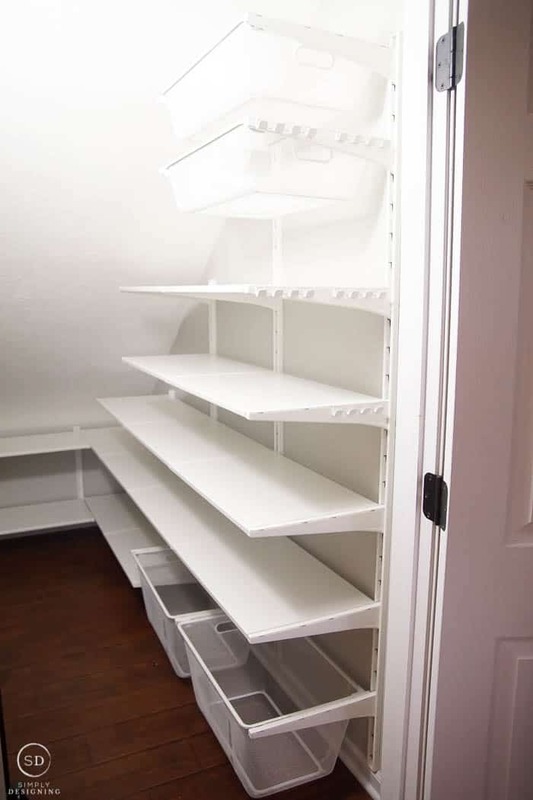 The goal for this closet was as many shelves and bins as possible! Because we couldn’t always install these wall units into a stud, we used wall anchors whenever there wasn’t a stud, in order to secure these units to the wall well. We installed the shelves on the back of the closet under the stairs first, and then we worked our way forward. We installed as many shelves as made sense, and then we also added two large bins and two small bins. These bins hold paper towels, toilet paper, wipes and tissues. Oh man, I love having a home for these necessities! Then we filled the rest of the shelves with PLUGGIS and VARIERA bins to organize the rest of our items. We filled these bins with things like smaller cooking appliances, paper goods, canning supplies, and Ziploc bags. 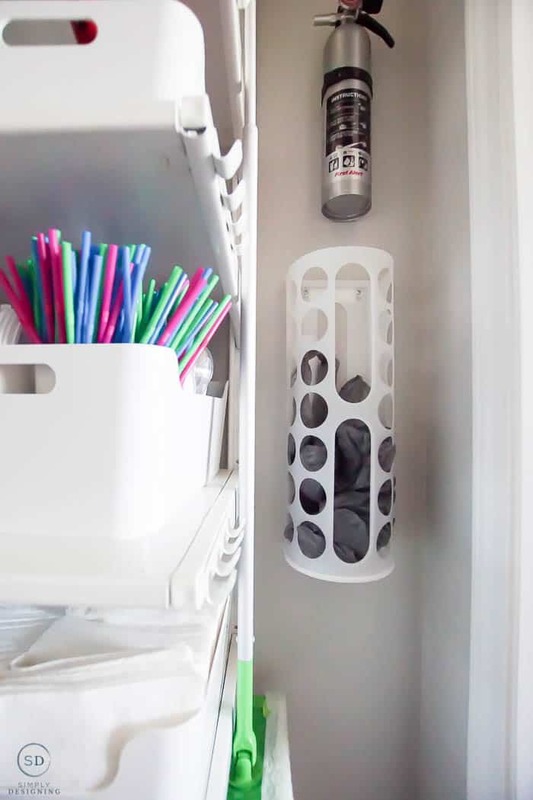 In one PLUGGIS bin, we put several BESTAENDE utensil holders and we store our plastic silverware and straws in them. We added a few ALGOT hooks on the end of our shelves so that we could hang things like our sweeper. I love having everything off of the floor! 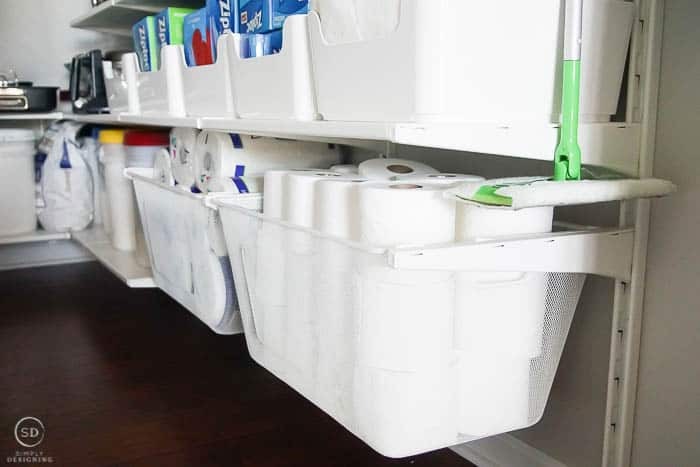 We also hung a VARIERA plastic bag dispenser so that I could keep a few plastic grocery bags on hand in a neat and organized way. And perhaps the best thing we added in this closet under the stairs was a STOTTA battery operated light! 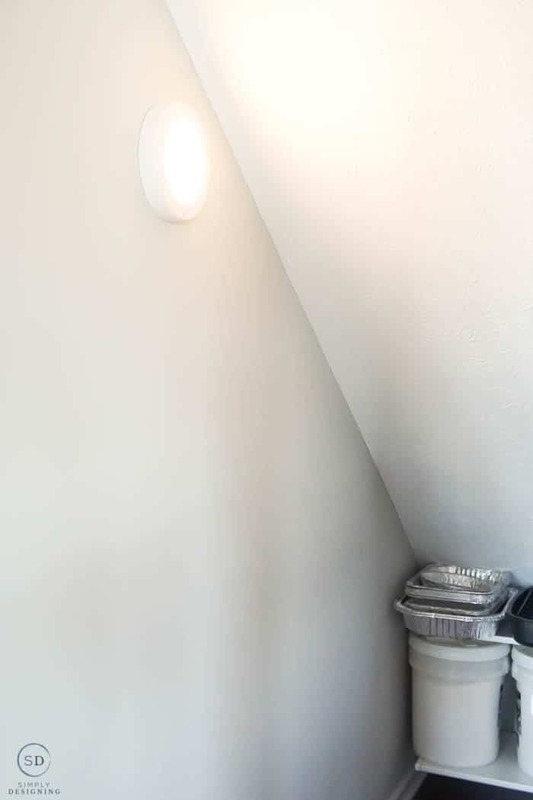 This light turns on with motion detection so it is the perfect light to have in a space like this and I love that it turns on as soon as I open my closet door! And because we didn’t have any electrical wiring in any of the walls on this closet, a battery operated light was just what we needed. Also, I am really impressed with how much light it gives off in the space! So not only is my space organized and beautiful, I can also see in it! I really LOVE having an organized space in my closet under the stairs! 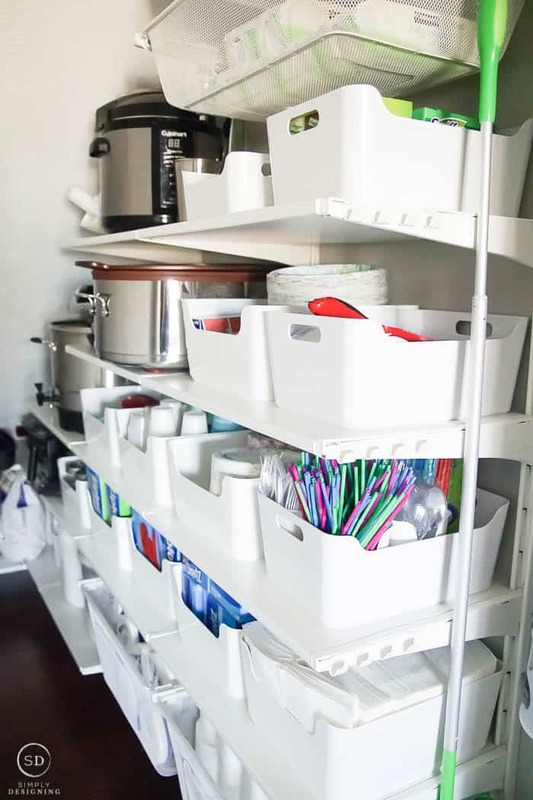 It has been such a difficult space to organize but the ALGOT system from IKEA really did the trick. I love that everything I need to store has a home, and I also love that I can easily see everything that I have so I know when I am running low on things. And this system leaves me enough room to easily walk in and out of this space without difficulty! Woot woot! This may be my favorite new space in my house!! Yes, I really love it that much! But my pantry might be running a close second! 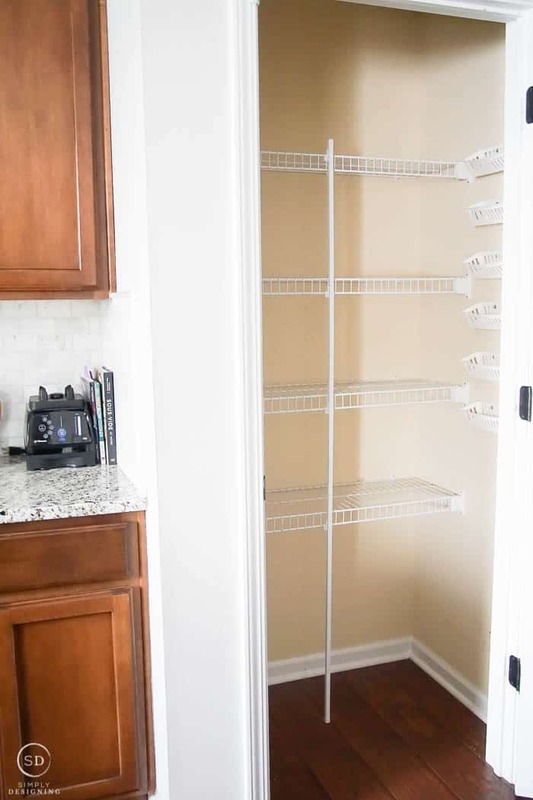 For our DIY pantry organization, we really thought about how we could best utilize this space. Yes, I wanted the most shelf space possible, but I also wanted it to be useable shelf space for the food I bought most often. I also had a stack of can dispensers waiting to be used and so I knew I wanted to incorporate these into my space. 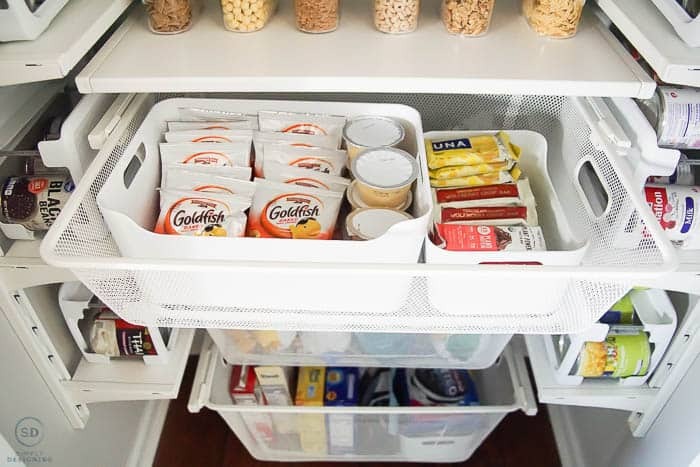 I also wanted to make it easy for my kids to reach the things that they use most like cereal, chips, granola bars and other snack and lunch items. So the major goals for pantry organization for my small pantry were to find a way to incorporate can dispensers so that my canned food was no longer stacked and ensure that this closet was as kid-friendly as possible. Once again, the ALGOT system from IKEA did the trick! I installed one system along the back wall and another system on each side wall in order to give me maximum space for food storage! 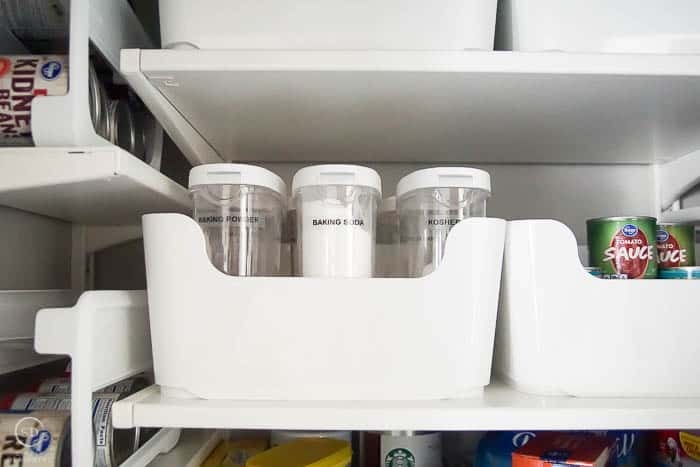 The systems on the sides where the perfect size to put the can dispensers that I have been waiting to use, and I love the bins on the bottom for easy storage and access of things like snacks, applesauce containers, granola bars and chips. We snagged some TORKIS clothes pins to use as chip clips for all of our chips. 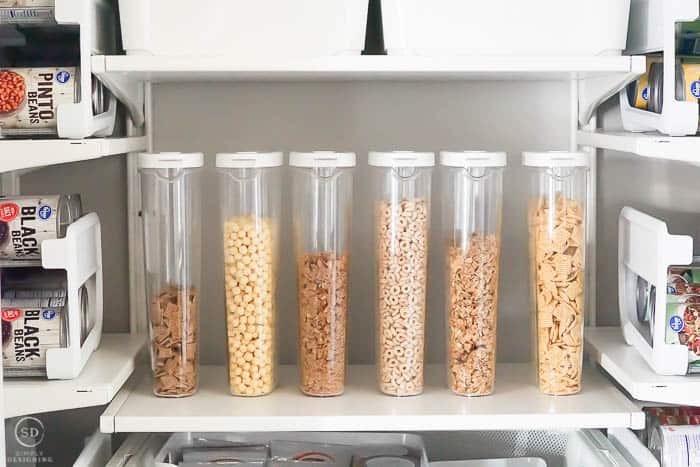 And then we decided to place cereal in IKEA 365+ containers on the lowest shelf so that my kids could easily access the cereal! The rest of the shelves are filled with PLUGGIS bins with everything organized in them! I really love how everything has a place in my small pantry organization. I also used some smaller IKEA 365+ containers to hold things like baking soda, baking powder, cocoa powder and other baking items that I use a lot. I used my label maker to label these containers and placed them in a bin. I could easily fit (6) of the smaller 356+ containers in (1) PLUGGIS bin which makes my organizational heart so happy! Seeing how this all came together really made my heart so happy! I just love having organized closets and pantries! I really love that everything is up and off the floor in this pantry too. It took us a little while to get everything back into the closets, but it was well worth the time and effort! I just love how pretty and organized everything is. 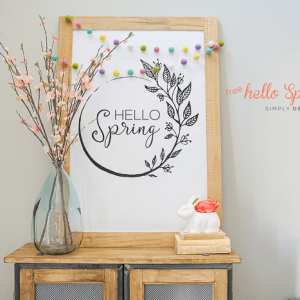 The most important thing when organizing a space is to really take a look at how you use the space and what items you need to store in the space. And that you make sure to plan so that everything has a place. 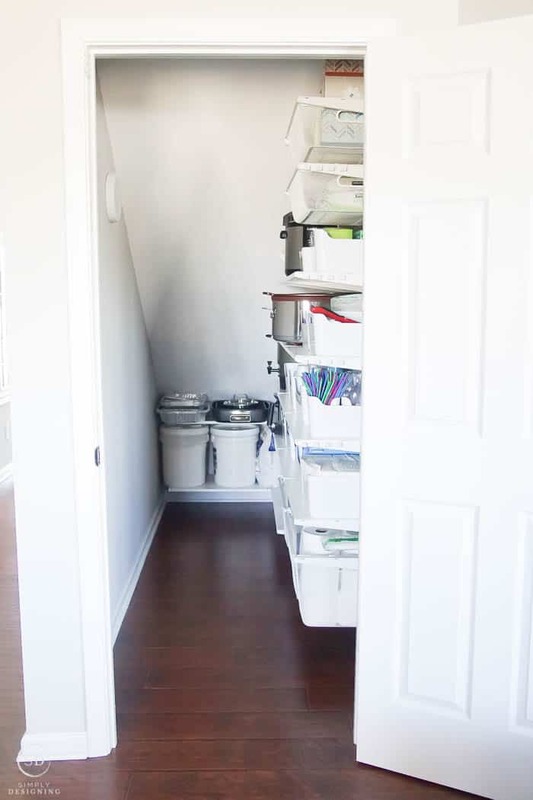 My organized pantry and my organized closet under the stairs accommodate everything we truly need in these spaces and also are now so easy to access and use! I love that I know right where to find everything in these spaces too! I know this will make cooking and just everyday life so much easier for myself and my whole family. All products are from IKEA. This looks absolutely amazing! I’m impressed with how much you were able to get into those spaces with the IKEA shelving. I’d actually like this for one of my upstairs closets!! This looks awesome!!! 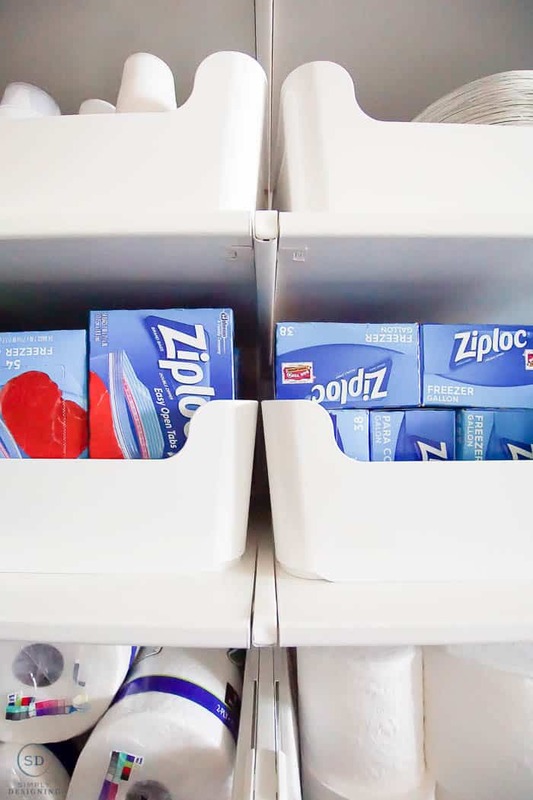 Having a clean and organized pantry makes such a different for us! I love all those white bins! How wide and deep is your storage closet? Mine looks similar, but worried the shelving may come out too far. Oh, thank you so much for your tips! 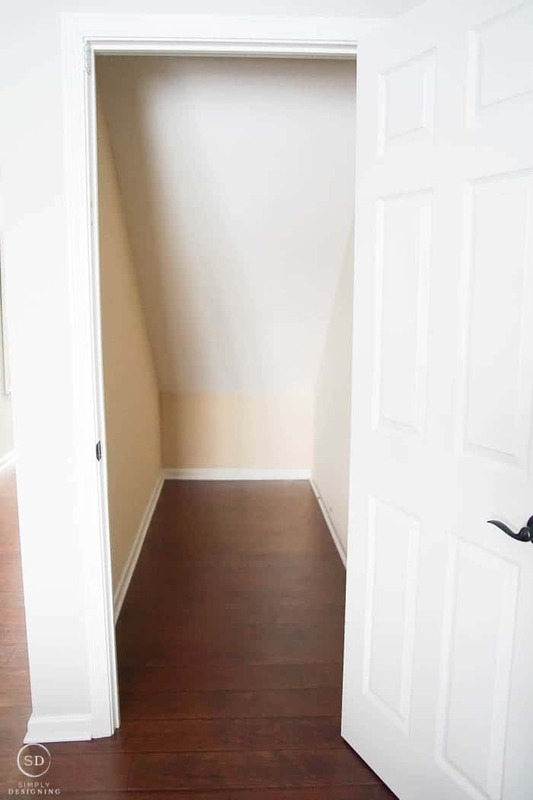 We also had a closet under the stairs but it looked just awful.. It was messy there and we couldn’t find anything there. We hated that room jusy because it was so small and actually we didn’t know how to organize it. But I really like what you did. It really looks organized and so clean. And it’s great that you can put there so many things. Also the pantry looks amazing. I especially love those shelves for tin can. Creative!